While last year Thailand house prices experienced a decline of 3.02%, real estate appreciated a reliable 5% this year to the second quarter. However, compared to the previous quarter house prices declined by a slight 0.6% in the kingdom. The Bank of Thailand reports an expansion of the national land and building transactions during the first five months of the current year of 3.2% year-on-year to THB 425.74 billion (US$ 13.05 billion). Outstanding property credit increased in line by 5.7% to a total of THB 2.78 trillion (US$ 85 billion) in May 2018 from the same period the year before. Compared with other international capitals and metropolitan cities central Bangkok apartment costs are moderate at an average THB 120.000 per square meter (US$ 3.680). Given the estimated monthly rent of THB 60.000 (US$ 1.840) for a Thailand city center apartment, this translates to a yield of about 8%. 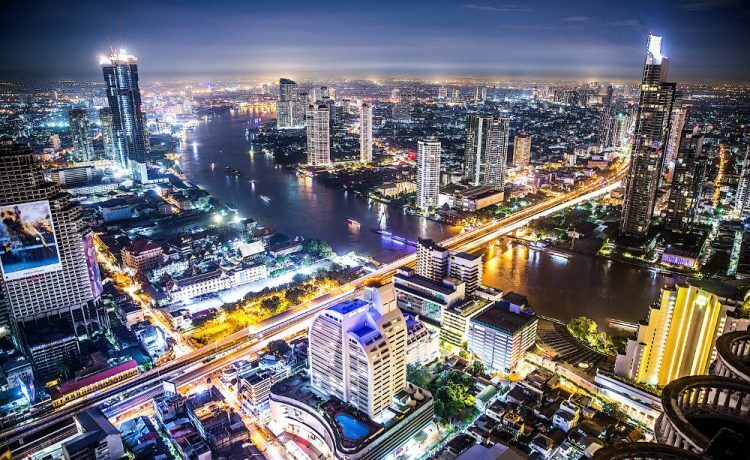 The National Economic and Social Development Board records Thailand’s economic growth to be 4.6% in the second quarter of 2018 compared to the previous year. Year in year growth increased to 4.9% in the first quarter from 4% in the fourth quarter of 2017. And due to rising exports and robust private consumption, the Bank of Thailand recently raised its 2018 economic growth forecast for a remarkable fifth time to 4.4% from its prior projection of 4.1%.